I have spent last 12 years in corporate sector. During this time I have been infused with obsession to success. Performance appraisal systems, balanced scorecards, regular 1-2-1s with your manger keep you on the right track and failure is often seen as a sin that comes at a cost of your career growth. It is not uncommon to find multiple owners if projects succeed and blaming circumstances or people in the event of failure. Admitting failure openly is a rare instance. 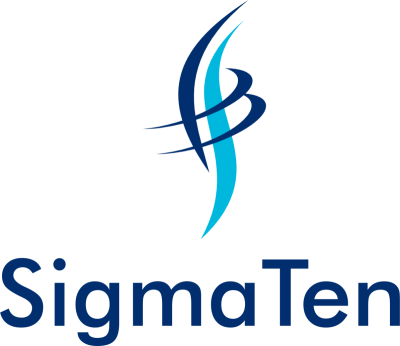 When I embarked on setting up SigmaTen Accounting Services, i was passionate to succeed. I was aware of statistics and risks associated with new venture failures. I attributed them down to lack of preparedness and planning. With my strong financial background and good idea of what I wanted to do along with detailed plans on how to approach each aspect of the business I had reasons to be confident. However when the reality stuck and new challenges emerged, I found myself alone had no one to fall back to. As I was my own boss I had no choice but to be honest to myself and admit that things had not worked the way I had anticipated. Admitting failure was the most difficult part but once I did, it made me question what I had done wrong rather than defending my actions and finding circumstances and people to point to. This is where my Warwick MBA studies came to rescue. The Entrepreneurship module introduced us to real life entrepreneurs and success stories and placed enough emphasis on the aspect of the journey that is not often obvious. Level of resilience shown by those who succeeded was truly amazing and behind the shiny success was years of struggle. Bringing that on the forefront helped appreciate the true cost of success. Failure is the building block of success. Each failure leads to one of the two options. You either give up or learn from failure and try again. Most chose the easy first option but very few are brave enough to keep trying. As James Dyson said, i have never failed, I have found 10,000 ways that didn't work. Looking back, I can recall over a dozen reasons to quit, give up and move back to corporate sector. I have taken the difficult path of evaluating failures and keep trying. This journey so far has helped me perceive failure as an opportunity to learn and improve and fight back. 1. Have strong faith on your product/idea. You will come across lots of sane people who will shoot you down. Success requires an element of insanity. There are critics for even the greatest product on earth. 3. Be resilient against adversary. Success often is an iceberg. What you see is only a tiny proportion of the effort and underneath it is a whole series of work that is invisible to people in large. The journey I had so far has taught me one lesson that will stay with me forever. I see failure as an opportunity. An opportunity to see what I did wrong, learn from it and try again. Outcome of this process would mean a stronger better product that can withstand the challenges from competition. Yes I failed many times and I am not afraid to admit it.